This lecture by Roma Sendyka is focused on a specific category of memorial sites: the ones that fulfil the requirements to be memorialized, but aren’t. An abundance of such locations are characteristic for Central and Eastern Europe (recently termed as “Bloodlands” – Snyder or “contaminated landscapes” – Pollack). The sites in question have been the locations of various atrocities of the twentieth century, including the Shoah, the Roma and Sinti Holocaust, and other genocides. What characterizes such locations is the presence of human remains (whether in the past or still today), physical organic-inorganic hybridity of ruins, ashes, and flora, ethnic miscorrelation of victims and the group presently living in the direct proximity, and neglect in management and signage. Roma Sendyka will address such topographical “difficult heritage” within cultural and sociological dimension, taking it beyond historical discourse, asking about its impact on today’s communities living nearby. What are the reasons why the sites are still expelled from our social imaginaries? What practices are used by local communities and stakeholders on regional/state levels to keep the sites out of focus? How can we assess the price we pay for keeping them out-of-sight? What needs to be changed to return them into social circulation? If they would be understood as diagnostic memorial objects: what new would they say about Eastern-European memory specifically? Would it give us new insight into contested memories at large? After a preliminary endeavour to define such sites, Sendyka will search for a new, inclusive methodology that could be applied to the objects mentioned. Post-humanities, forensic turn and art-based research methods will be interrogated for their usefulness and several artistic projects presented as performative ways of analysing the sites. 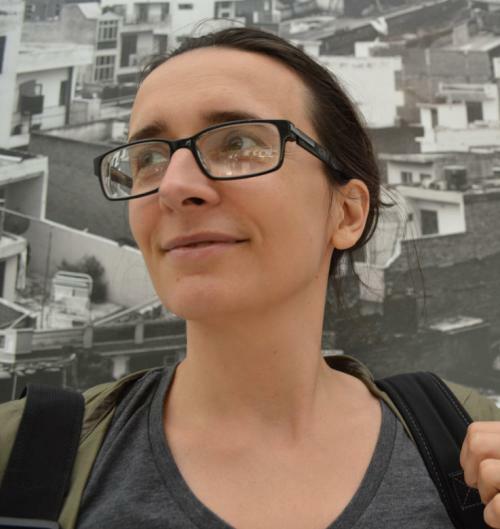 Roma Sendyka is Associate Professor, Center for Anthropology of Literature and Culture Studies at the Polish Studies Department, Jagiellonian University, Krakow, Poland. Head of the Research Center for Memory Cultures. Specialised in visual culture studies, criticism and theory (affective turn, memory studies, cultural analysis). Works on relations between images, sites and memory, currently developing a project on non-sites of memory in Central and Eastern Europe.